Chef Aj, this one's for you! 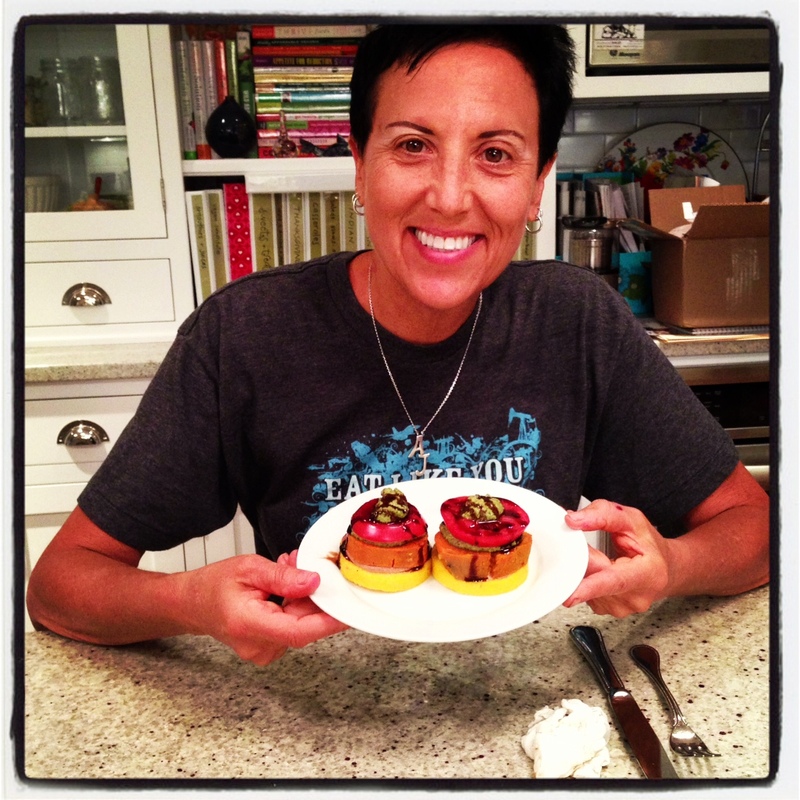 Ever since Chef Aj came to visit our home in Cleveland and I fed her the most delicious of all delicious food, Jane Esselstyn's Dr. Seuss Polenta Stacks (for recipe, see My Beef with Meat by Rip Esselstyn), Aj has been asking me about this pesto. You see, pesto is not what is called for in Jane's original recipe for Polenta Stacks, but pesto is what I had on hand before Chef Aj's visit. So I used it instead of the OMG Walnut Sauce (which is truly OMG IMHO) that Jane calls for in the recipe. The result was outstanding, and I've been meaning to give Aj the oil-free pesto recipe ever since. I'm sorry it's taken this long, but better late than never, right? If you've got a garden, it's about now that you are probably overloaded with basil for the season. So I've got a whole bunch of ideas for things to do with this pesto (see below) and I can't wait to start experimenting with it. 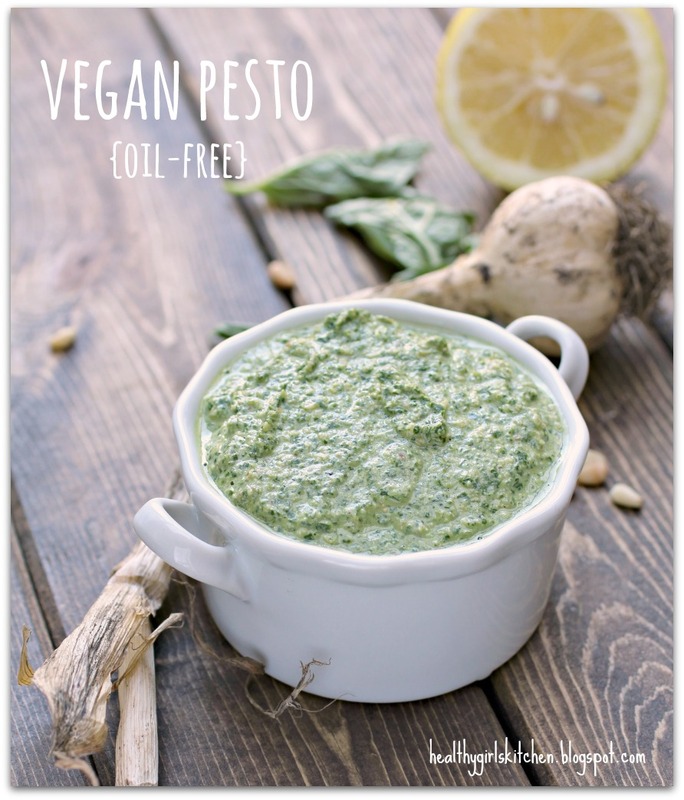 Related Post "Oil-free Vegan Pesto and The Vegan Cheat Sheet Giveaway!"